MalinWaters covers the shared maritime waters of North West Ireland including counties Donegal & Sligo, the maritime counties of Northern Ireland and Western Scotland. This region boasts fantastic opportunities for sailing, surfing, diving, kayaking as well as other water based activities. 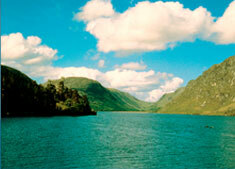 Let us inspire you with this unique coastal region. Sit back, slow down and admire the view - it's simply breathtaking. Red sky by morning, sailor take warning. Red sky at night, sailor's delight. Whether you are a boat-owner, chartering a yacht or simply learning the ropes, the unrivalled diversity and natural beauty of MalinWaters is here to enjoy. 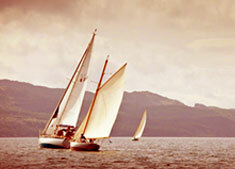 Enjoy the MalinWaters Sailing experience offering both sheltered and challenging adventures. 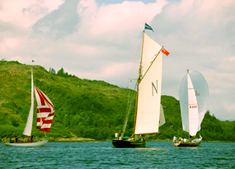 Sail to Donegal, Sligo, Antrim, Derry, Down or Scotland's Western Isles. We promise you won't be disappointed. Travel and explore and tell the world the glories of our journey. MalinWaters reflects the natural freshness of a truly unspoilt environment which is a haven for anyone interested in water based activities such as sailing, surfing, diving, and kayaking, but there is also an abundance of opportunity for adventure and exploration off the water. Why not spend your days exploring the Gaelic speaking islands of Donegal, the walled city of Derry, or visit one of the many whisky distilleries in Islay. We should come home from adventures and discoveries everyday with new experiences. With its stunning scenery, legendary landscapes, roaring waves, beautiful beaches and numerous attractions, the MalinWaters experience has something for everyone. Surfing, diving, kayaking and angling are hugely popular in the area with Sligo, Donegal & Portrush boasting world class surf conditions and are host to many surf competitions throughout the year.